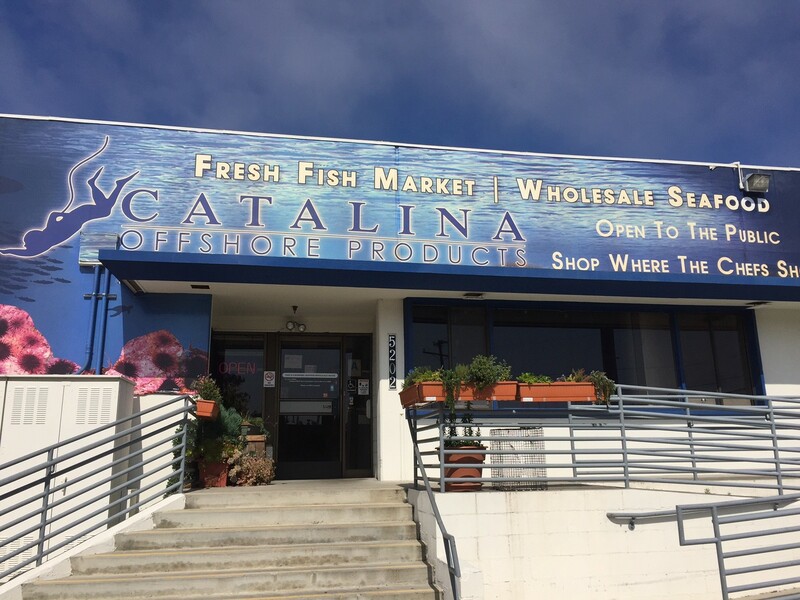 I am privileged to chat with Dave Rudie today, owner of Catalina Offshore Products, a place where businesses and consumers can get their hands on restaurant quality seafood right here at the intersection of Bay Park and Morena. We chatted about how and why he started Catalina Offshore Products, what he loves about Bay Park and also about sustainable fishing practices and how he supports it through his company. Dave’s pride and passion for seafood are reflected in the quality and uniqueness of our ocean’s wonderful bounty available right through his store. Enjoy the interview and please share your thoughts, comments and questions as always! Caroline Abkar: Dave, can you tell us a bit about yourself and your background? Dave Rudie: Sure! It all began for me 40 years ago when I was a sea urchin diver and seaweed diver off the backside of Catalina Island. I fell in love with the ocean when I first snorkeled at 16 years old. I studied Marine Biology at UC Irvine and I was a sport diver on the weekends. I saw a lot of sea urchins and the dive clubs recommended we kill them because they were eating kelp beds. I heard of a new market for sea urchins kicking off right around that time, where they were buying them for 7c/pound…! I therefore became a sea urchin diver and sold my catch right off my boat along the coast of Catalina Island. I acquired a bigger boat and worked all over as a fisherman. After I moved to San Diego, I began processing the sea urchins in my garage and a plant I was able to use by night, and sold them directly to sushi bars. I also found wholesalers and a buyer in Japan, when sea urchins and sushi started gaining popularity. 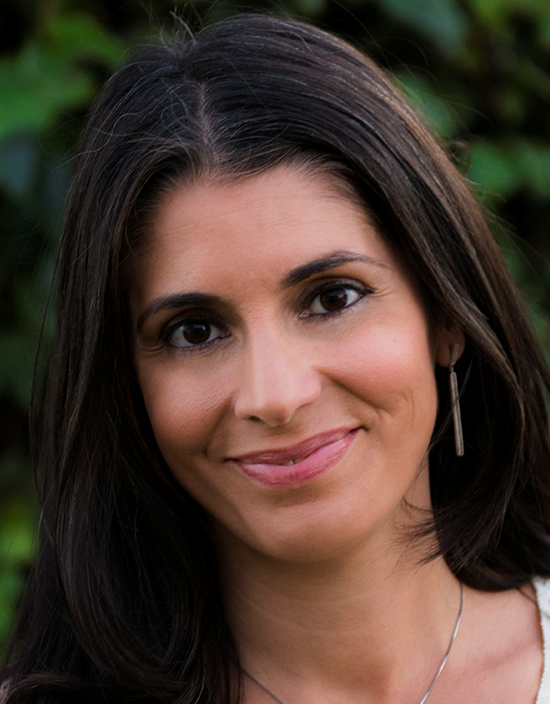 Caroline Abkar: Why did you create Catalina Offshore Products? Dave Rudie: My sea urchin business was growing so I needed more space. This location where we are at now used to be a wine warehouse, and we converted it into a sea urchin processing facility. It was a great fit both in terms of size and location. The El Nino in 1998 made it a tough year for sea urchins so we needed to diversify. We started buying fish from local and Baja fishermen. We were mostly selling to wholesalers who sold to restaurants all over the country. My son took a website design class in 2002 and created a site for the business, which made it possible for us to sell our products and seafood online. One of our famous employees, Tommy Gomes, said one day, “Why not sell directly to the public?” to which I replied, “Go ahead and make it happen!”. So he took the idea and implemented it. Now, we sell fish and seafood to the public, wholesalers, restaurants, and we sell specialty products too. We were selling to the public exclusively online with delivery services up until 3 years ago when we turned our space into a storefront. We still sell to restaurants and we deliver anywhere in the US, including to individual consumers. 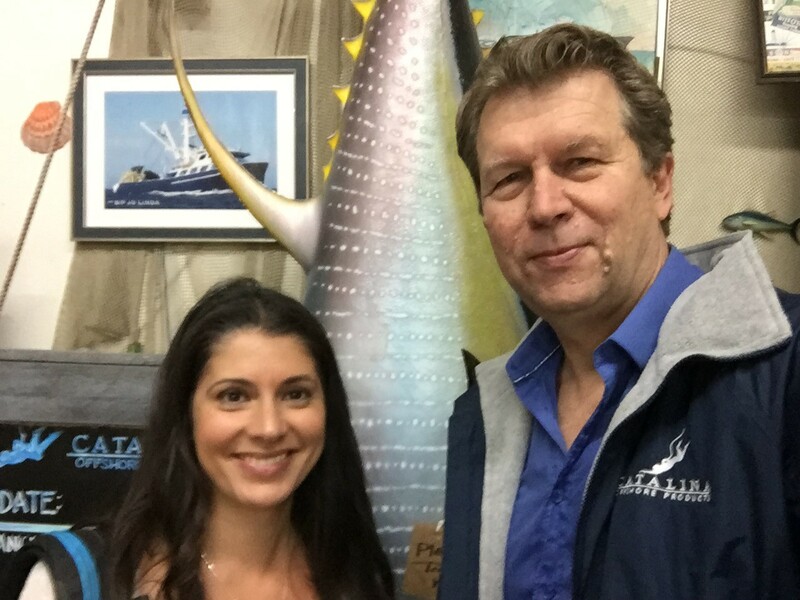 Caroline Abkar: What makes Catalina Offshore Products unique? Dave Rudie: We buy directly from the boats; in other words, we are the first stop off the dock! We know the story of our fish and how it was caught. We know how to take care of our fish. We value fish where stock is well managed and healthy. Most of our fish is out of California and is done by hand, i.e. there is no industrial fishing involved. Our Baja California fishermen practice artisanal, old style, low impact fishing. We care about proper regulations to prevent overfishing and I am in fact involved with Pacific Fishery Management Council to ensure that overfishing practices in the US are corrected and that proper regulations are in place. I just came back from a 4-day meeting with this Council, actually. What also makes Catalina stand out is that we are the largest buyer of seafood in San Diego, at 1.5M pounds a year. We not only offer our products through wholesalers and now expanding into restaurants but the ability to also sell to consumers really makes us the direct source for seafood. We delivered all over the US when our success story began and still do. 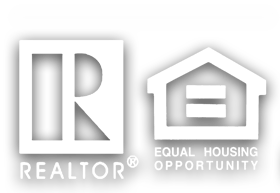 We now sell over $1M online each year. 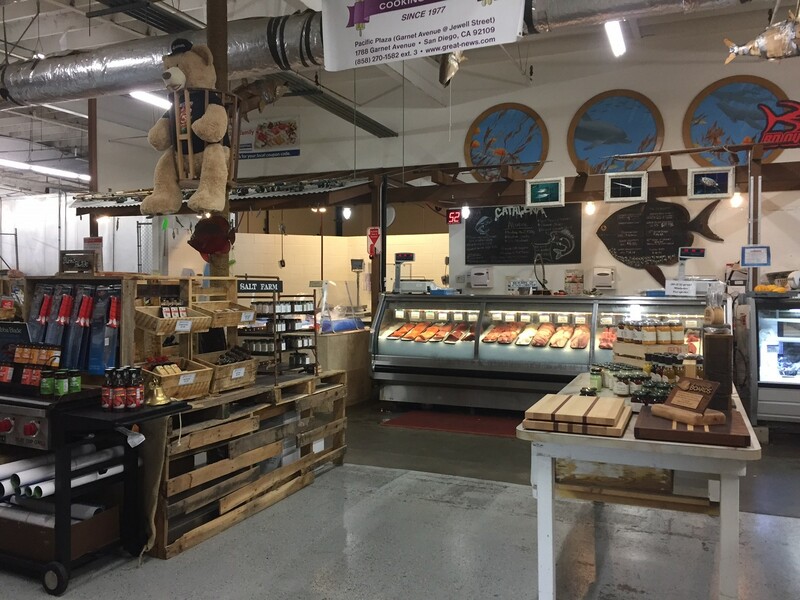 Inside the store where fish and specialty products are sold. Caroline Abkar: What are some of the restaurants who source their seafood from Catalina Offshore Products? Caroline Abkar: Why did you choose this location so close to Bay Park? Dave Rudie: We do a lot of shipping out of San Diego airport. I live in Bay Park. I love it, it’s close to everything. Anywhere you want to go, it’s close. There is not much traffic to get on the freeway. It’s also very central to the emerging restaurant scene that we have gotten into. I like everything about the people here. Consumers will drive all the way here for our products. Some of our products are truly hard to find such as sea urchins. Caroline Abkar: What are some customer favorites? Customer favorites include unique fish that are harder to find in fish markets such as our local tuna, local opah, and sea urchins. Our live lobster, shrimp and abalone are also quite popular with restaurants. People also come to the store for the experience, as we offer demos with samples on most weekends with Tommy Gomes. Tommy often likes to cook something up for a demo. Dave and I standing in front of a hanging tuna. Caroline Abkar: Do you sell mainly farmed or fresh fish? Dave Rudie: We sell both wild and farmed. It’s important to realize that 50% of all seafood is farmed. I see your frown when I mention farmed and I must ask why. Tell me what concerns you about it? Caroline Abkar: Well, we often hear that wild is so much healthier than farmed because you don’t have the issue of overpopulation and antibiotics, and to me it seems that a fish in the wild will eat what it is meant to and not have a controlled feed. Dave Rudie: Not all farms are created equal. Some farms do not use antibiotics and have low enough density that the problems you mention are avoided. The quality of the fish can be as good as wild. There are some good fisheries and some bad fisheries even when it comes to wild fish. Some parts of the world are overfished and industrial so there are problems with both options. We select the good farms that we sell our seafood from, and we don’t look for the cheapest fish out there. You pay a little more but it’s worth it for your health, taste and environment. In the US, there is not a lot of farmed fish which is unfortunate because we do a good job at managing our wild and farmed fish. It is difficult to get a permit to grow fish farms here. Some environmental groups have been very much against farming and are only now starting to realize that there are actually some great farming practices with little impact on the environment. It’s like organic farms vs farms which use a lot of chemicals when it comes to growing land based proteins. Some fish actually taste better farmed than their wild counterpart, and the other way around is true as well. For instance, when cooking salmon, I choose wild California King salmon. If I am going to consume salmon raw, I would select a farm raised salmon because it’s got more fat and flavor. Caroline Abkar: What about mercury and radiation, which we have been hearing about more and more as a concern? When it comes to mercury, it’s important to question whether people have actually died of mercury poisoning through fish. It did happen in Japan during WWII and because of that, the red flags went off. It’s important to put things in perspective. Some fruits we eat have certain levels of contaminants which surpass what can be found in fish and yet, are still conserved perfectly safe. There are also higher odds of dying from routine daily tasks like driving than mercury in fish but we tend to forget that when surrounded by alarming news as often as we are. Seafood really is one of the best things for your health and the environment. If you’re eating wild, you’re not using fresh water, pesticide, fertilizer, and all the other byproducts of raising land protein. If consuming farmed fish, there is very little impact on the environment given that fish requires 2lbs of food to grow 1lb of fish. Land based proteins are 3-5lbs of food for 1lb of meat and the runoff goes inside the meat itself. Catalina Offshore Products storefront on Lovelock St.
Dave Rudie is the President and founder of Catalina Offshore Products located at 5202 Lovelock St, San Diego, CA 92110. You can read more at http://catalinaop.com/ as well as their Facebook page https://www.facebook.com/CatalinaOffshoreProducts. Make sure to subscribe to their newsletter to stay abreast of their latest promotions!